Lego’s Millennium Falcons are some of the toymaker’s largest and most impressive sets, but to keep the price tags reasonable there are some comprises made when it comes to size, scale, and detailing. 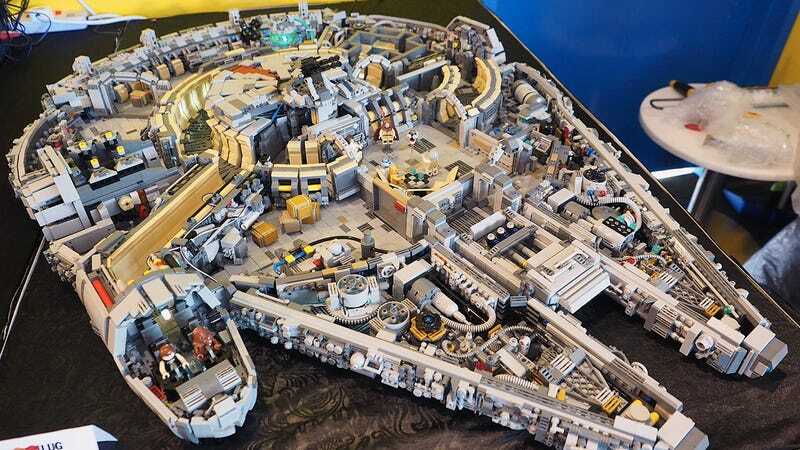 As the Lego fans at Titans Creations discovered, to build a Millennium Falcon that’s actually perfectly sized for minifigs you’ll need some 10,000 bricks at your disposal. Which means that most of us can only stare in awe at what the team created. But that’s OK, because how many of us actually have the time to build such a creation, or the room to store it? At over three-and-a-half feet long this version of the Falcon is about 40 percent larger than Lego’s largest take on it, and there’s enough detailing here to keep you mesmerized for hours if you’re lucky enough to see it in person. Or, just take a few minutes to check out Brickfinder’s (Jun Heng) wonderful photos of the model.